Available in 18 different nourishing options, Osmosis Wellness Waters nourish and revive a variety of skin and body conditions for enhanced overall health and a beautified appearance. Working with remarkable efficacy, Osmosis Wellness Waters are perfect for all ages and skin types to improve your dermatologic condition and overall health at the cellular level and promote balance in the skin as well as the rest of the body. Osmosis Pur Medical SkinCare Wellness H2Os are non-toxic, non-irritating, and they won’t induce side effects. Using innovative technology that imprints frequencies onto water molecules, these facial treatments mimic ideal conditions in the body to promote an optimized dermatologic environment from the inside out. Featuring a revolutionary formula in which scientists reverse engineer frequencies found in the human body and impact them into water, the beneficial effects for the body are endless. Just take 2ml of Osmosis Wellness Waters in a glass of water twice daily, and you’ll notice benefits in no time! 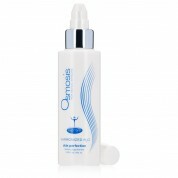 Use Osmosis Wellness Waters to treat a variety of skin conditions for immediate relief and long-term benefits. If you suffer from allergies or asthma try the Wellness H20 Breathe. If you deal with constant fatigue, try Wellness H20 Energize me. Of if you’re looking for the perfect cure for that debilitating hangover, try Osmosis Wellness H20 Hangover! Osmosis Pur Medical Skincare looks at skin care with a holistic perspective. 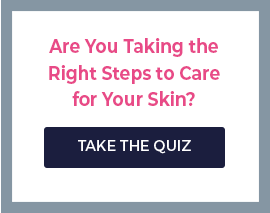 Rather than just treat the skin topically, they understand that healthy skin also comes from within. That means drinking enough water, eating healthy, reducing stress, and exercise. Osmosis Wellness Waters work from the digestive tract to the skin, improving a variety of dermatologic and chronic conditions to improve your overall health. Take a look at the Osmosis Wellness Waters. Whether you’re dealing with a mosquito bite or acid reflux, there is guaranteed to be a perfect water for you!